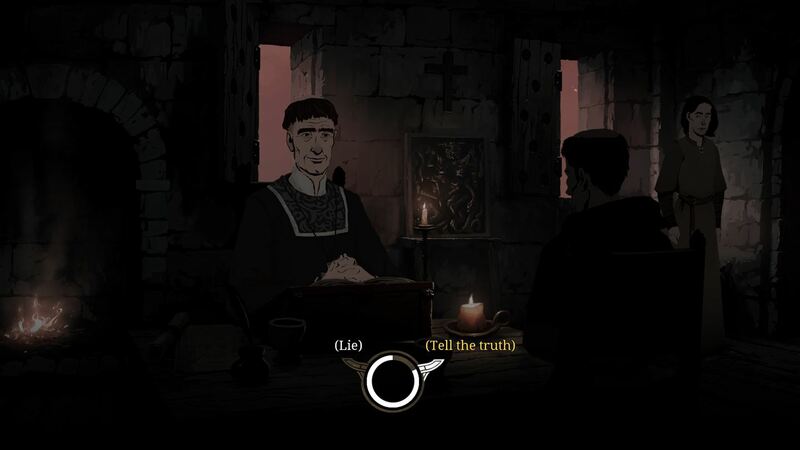 In this 2D point and click adventure, Daedalic Entertainment treat us to an immersing adaptation of Ken Follett’s book The Pillars of the Earth in a game that truly captures the epic vision Follett presented to his fans back in 1989. In what is the first of three instalments, the first account of this tale establishes the setting of 12th century England and lays the foundations to the stories of the protagonists whose journeys begin to instantly take shape and unfold. In a world where war ravages the land, and power struggles dictate the course of action, you as the player try your hardest to produce a set of decisions and answers for your characters that help them find their feet in a story that continually tries to break them down. Over the course of seven mini chapters within book one, you are introduced to three main protagonists. They are Tom, master builder and father who holds a personal longing to succeed in his dream of building a Cathedral – struggle is ripe for Tom and his family throughout as he tries to prove his capability to those who doubt him. Next is Brother Phillip, a patient, calmly spoken monk who maintains a sincere love for his faith and a want to do good for others. Phillip is dragged into a number of problems throughout his journey as he tries to restore order to his failing priory. Finally, Jack the outlaw, a young boy whose opening innocence becomes tested as he begins to evolve into a daring young soul. Jack’s story takes many turns as he begins to take matters into his own hands and help the people around him. The interwoven storylines of all three characters produce a sense of companionship and belonging to a game that sees you start to tailor your answers in a way that will best help their current situation. One thing that Daedalic Entertainment has really accomplished is capturing the essence of storytelling. Throughout the epic tale the story evolves and adapts in a way that gives the player numerous plot twists, and a surprising turn of events that not only maintains your attention, but forms a general sense of wonder towards the story. By keeping true to the author’s narrative, it means this sense of attachment continues to grow throughout as the story starts to highlight the intriguing themes of deception and mystery that Follett used to portray the sinister side of Medieval England. The mysterious side of the story and the treacherous turn of events is incorporated into the game with the use of certain shadowy and dark characters. These characters portray hidden secrets that give you, as the player, a fuelled desire to find out what their intentions are and discover the hidden meaning behind them. The focus of such themes, therefore, adds to your enjoyment of the game as the mix of both treacherous and innocent storylines give a good balance to a game that offers its players a journey that is constantly changing. Another impressive feature of the story, and a true testament to the overall design, is the way the gameplay interacts with the player. For instance, in some cases during your playthrough, the game likes to set the player free to explore their surroundings. This mixes up your involvement and gives it a calm nature as it allows tasks to be completed at your own leisure and points of interests can be discovered without the time pressure of having to continue the main story. 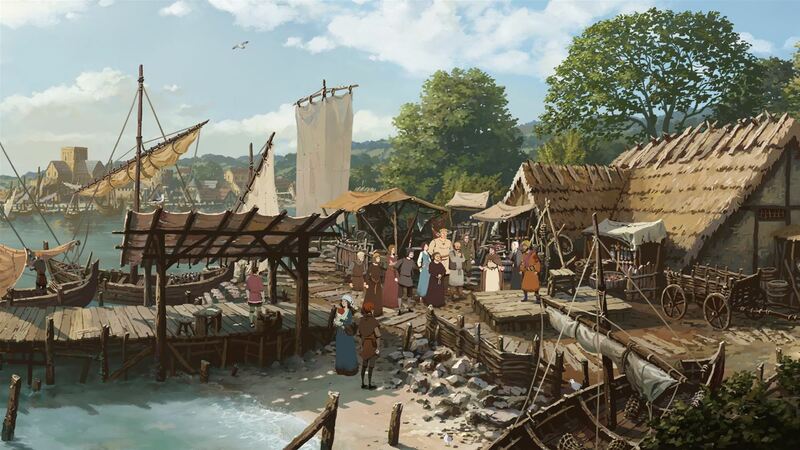 This allows the player to tailor their experience at the speed they want to, and whether they want to quickly move on, or learn more information about their surroundings, they are free to do so. The intriguing nature of The Pillars of the Earth’s interaction also means some of the decisions you make are of a personal nature. For instance, Daedalic has been able to incorporate sets of choices that either personally resonates with your own conscience or gives the you the opportunity to play your own mischievous style. By creating decisions that give personal dilemmas to the player, a general attachment is created between yourself and the story in a way that makes you want to continue playing and reveal what becomes of the decisions you make. Visually, the game is just as intriguing as the story that is portrayed. The use of hand drawn backgrounds and settings highlights the time and effort that has gone into making the game and also produces another nice personal touch to your experience. The use of handcrafted visuals also means the artists have been able to really capture the idea of reading a book as it gives you that slight feeling that pages are being turned and you essentially move on to the next scene. On an audio standpoint the voice acting is pretty good. Characters on the most part help in indulging you into the story and most are able to portray a sense of key emotion when the story gives its players one of its plot twists. The game also adds a sense of humor to its writing, whether this was used in the form of sarcastic comments or smart off the barrel remarks, most will leave you with a smile on your face. Adding that sense of humor works well in Pillars of the Earth as it gives variation to character personalities that result in a sense of enjoyment when you have to encounter that character again. The game, unfortunately, does not come without its problems. Within the first few sections, things were noticeably not functioning right when parts of the menus began remaining on the game screen even after coming off them. Supposed actions also came with slight faults as the use of buttons begin to annoyingly stop working in the way they were meant to. After a black screen forced a restart of the story completely, a sense of trepidation followed the first few hours of the new save in worry that the same problems might continue throughout. The second attempt ran much smoother however and despite the slight clunky jumping of certain character movements, it produced an overall experience where the minor issues did not take away from the final outlook on the game. Issues come with most games and the fact the opening problems stayed at bay means they can be put down to minor teething issues that in hindsight should not deter you from experiencing this great story. 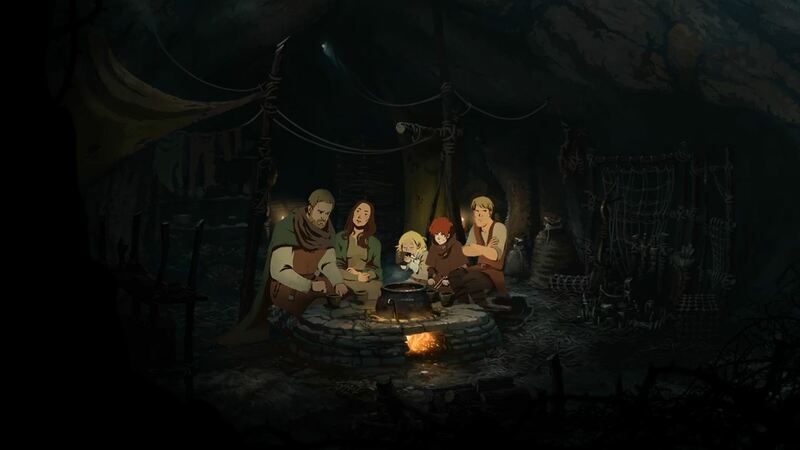 Ultimately, Daedalic’s depiction of Ken Follett’s The Pillars of the Earth brings its players a journey that not only immerses you into an author’s vision, but interacts with you in a way that makes you constantly think about the decisions you make. The sinister side to the story and the games’ plot twists keep you engaged throughout, something that means at the end of completion you are left with a sense of promising expectation for the next two instalments. 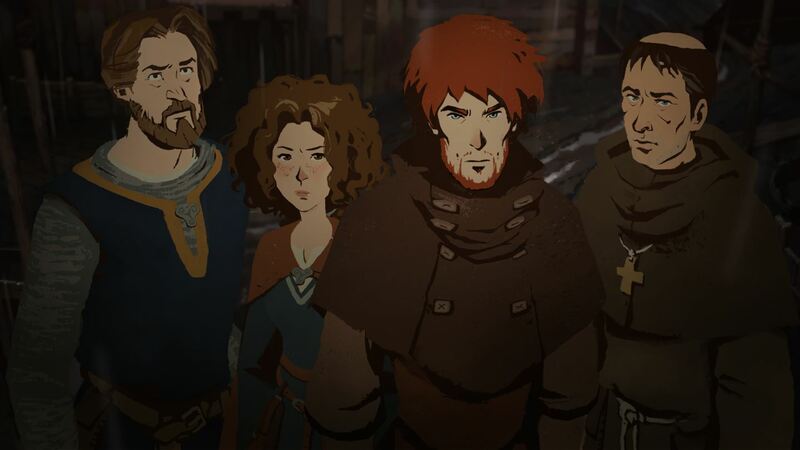 The Pillars of the Earth will no doubt leave those not acquainted with the book a burning desire to pick it up and delve once more into the characters whose journeys you have had so much control of over the course of book one’s playthrough. This is storytelling of a wonderful nature and an intriguing point and click adventure that should be enjoyed by many. Previous articleSpotify arrives on Xbox One – But should you buy in to another subscription?